Aged 64 years, is the Chairman and Non-executive Director of our Company. He received the higher secondary school examination certificate from Balbhadra Inter College, Pratapgarh (Uttar Pradesh). He has been a Director on our Board since 2007. Aged 44 years, is the Non-Executive Director of our Company. He holds a bachelor’s degree in commerce from Mumbai University. 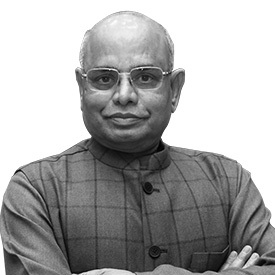 He is also a qualified chartered accountant and a member of the Institute of Chartered Accountants of India. He is a SAP certified solution consultant – mySAP Financials – Management and Financial Accounting. 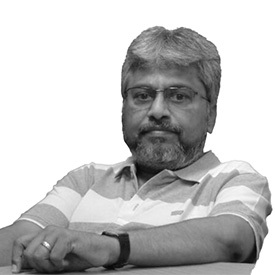 He is also the Promoter of our Company and has been associated with our Company since inception. Prior to incorporating our Company, he has worked with PricewaterhouseCoopers Private Limited, and Covansys (India) Private Limited. He has over 17 years of experience in audit and accounts, business analysis, SAP configuration and software system consulting. Aged 34 years, is an Independent Director of our Company. He holds a bachelor’s degree in law from University of Mumbai. He is a member of the Bar Council of Maharashtra and Goa since 2007. 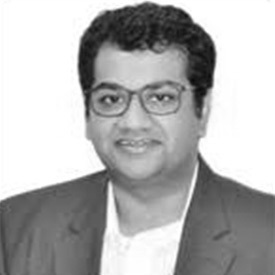 He has more than 10 years of experience in the field of corporate and commercial laws, joint ventures, project finance, corporate and structured finance, mergers & acquisitions, disinvestments and is presently an Associate Partner with the law firm M/s. Crawford Bayley & Co. His work experience includes working at the law firm Holland & Knight LLP in New York and the law firm M/s. Little & Co. 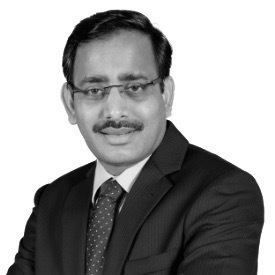 He has served as a director on the board of Centrum Wealth Management Limited, Centrum Broking Limited and REICO Industries Limited. Aged 51 years, is an Independent Director of our Company. 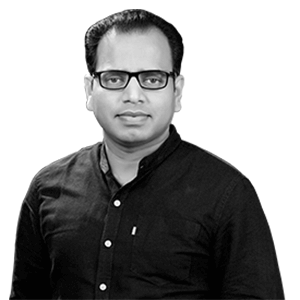 He holds a bachelor’s degree in science from University of Madras and holds a master’s degree in business administration from Sikkim Manipal University. He has more than 20 years of experience in the field of sales and marketing. Prior to joining our Company, he has worked with Loop Telecom Private Limited, Loop Mobile (India) Limited, Meridian Mobile Private Limited, RPG Cellular Services Limited, Red Bottle Telecommunications Consultancy Private Limited, Clothesline Media Private Limited and Eureka Forbes Limited. Aged 51 years, is an Independent Director of our Company. She is a qualified chartered accountant registered with the Institute of Chartered Accountants of India and a Certified Public Accountant, USA. She is also an insolvency professional/ registered with Indian Institute of Insolvency Professional of ICAI. She is currently a partner in M/s. Pravin R. Navandar & Co. Chartered Accountants, with main focuses on corporate audits (internal and statutory), bank audits, company law cases, income leakage and corporate advisory services. 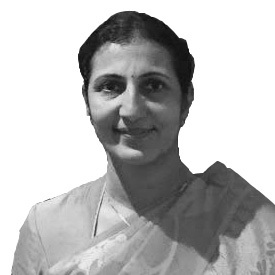 She is also an independent director on the board of Goa Glass Fibre Limited.